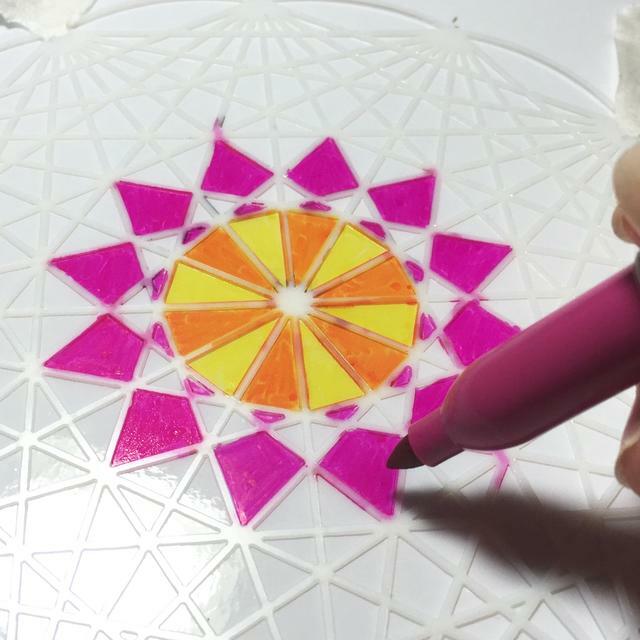 Project Description: Use Clear Cling Vinyl by Grafix and permanent markers to create a colorful mandala sun-catcher. 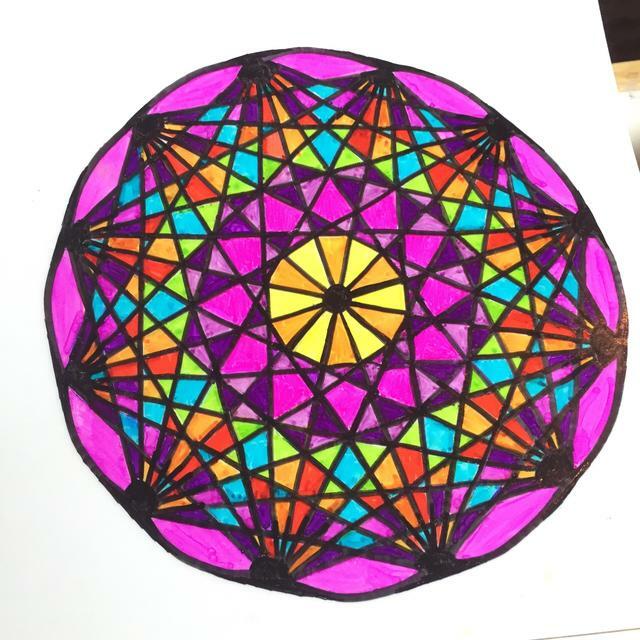 If you enjoy coloring, this project is for you! 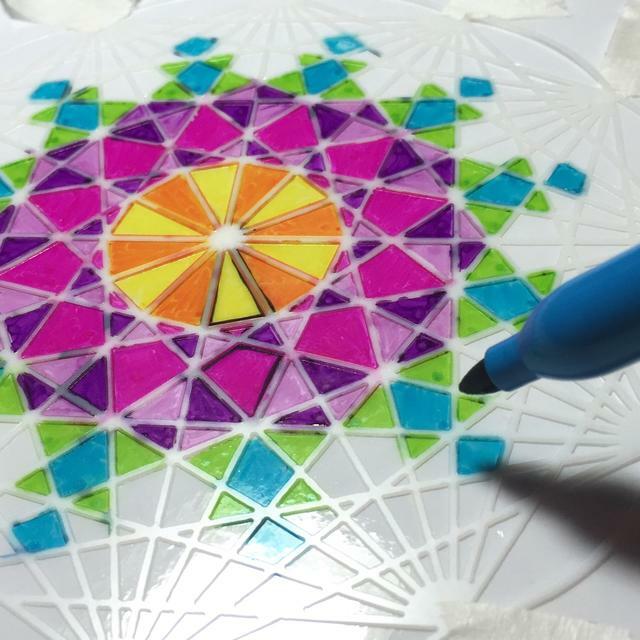 Use Clear Cling Vinyl and your permanent markers to create unique projects. 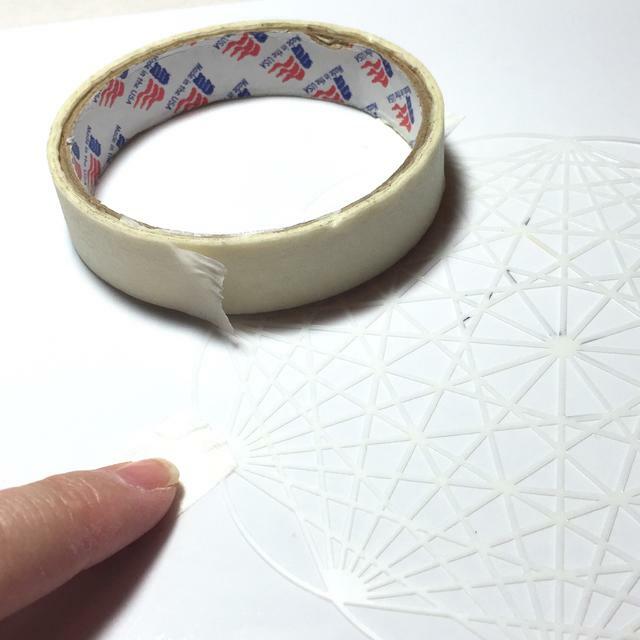 Tape paper down to work surface. 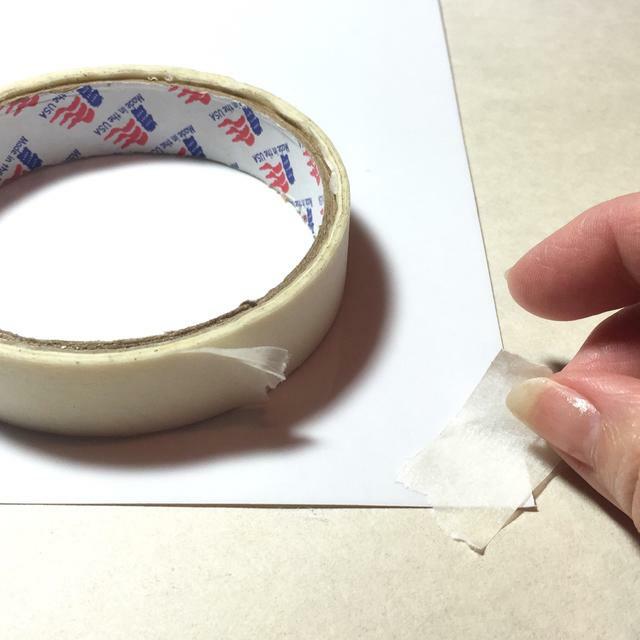 Cut a piece of Cling Vinyl a little larger than your stencil. Then tape vinyl and stencil down to paper. 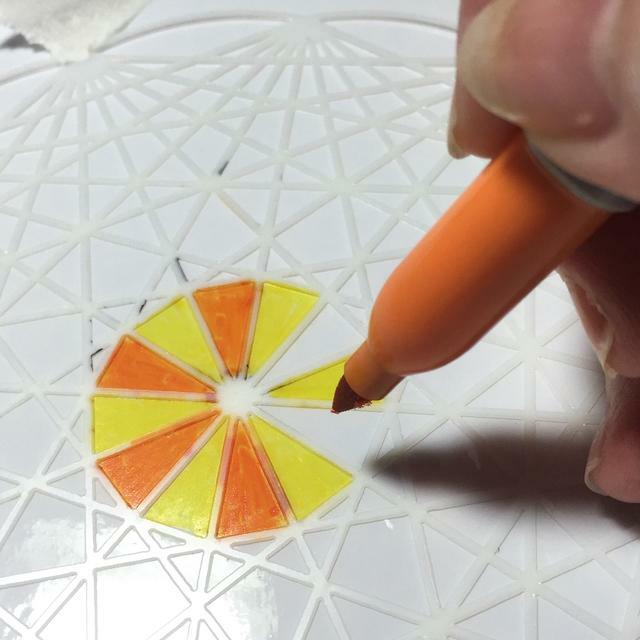 Starting at the inside, begin to fill in designs using markers. 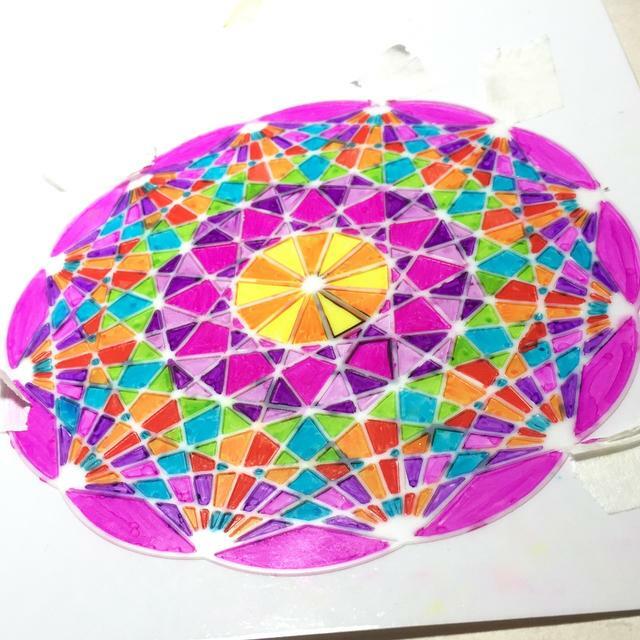 Continue to fill in the design, working your way outward. Try to add contrasting colors between sections to add the most “pop” to your design. When the design is finished, remove the stencil. 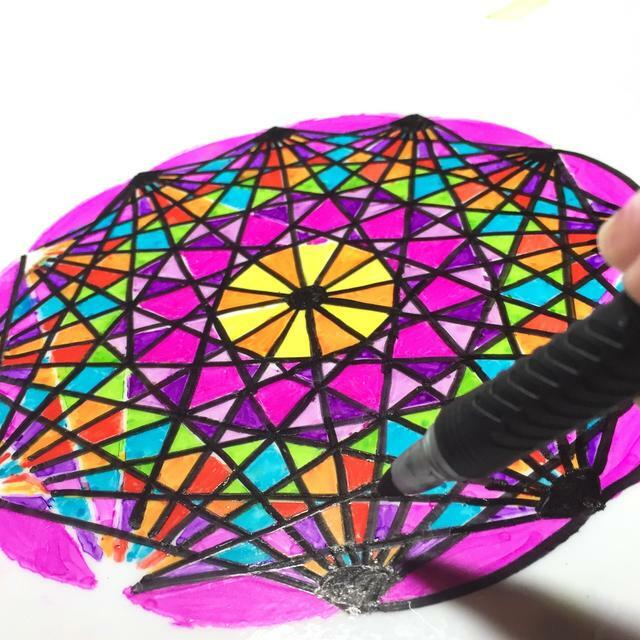 Use the black market to draw the lines in between the designs. 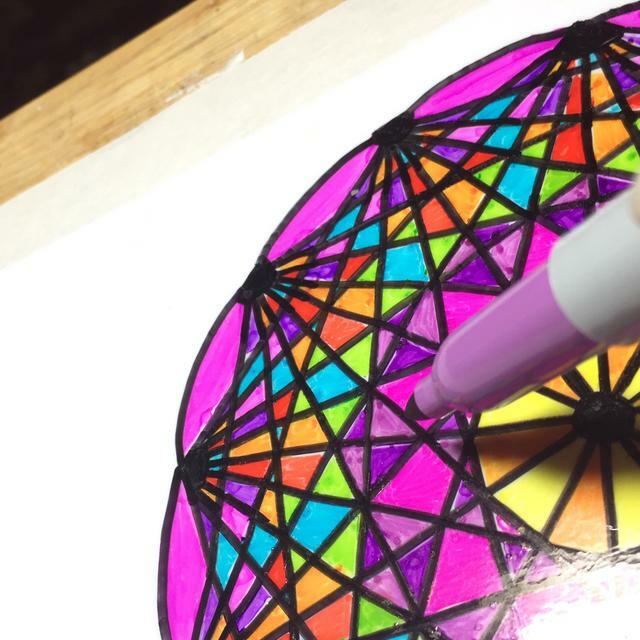 If there are any white areas, fill them in. 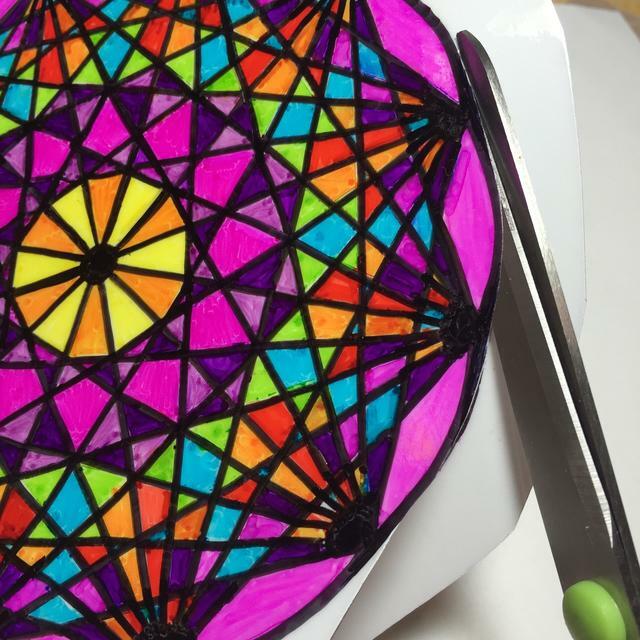 Cut out your design close to the outer border. 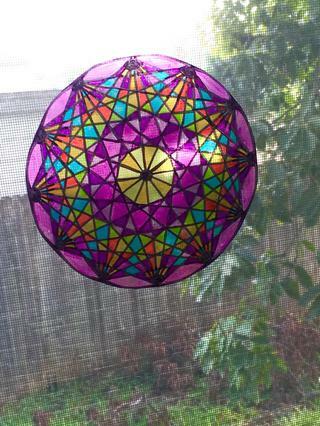 Place your sun-catcher in a sunny window.